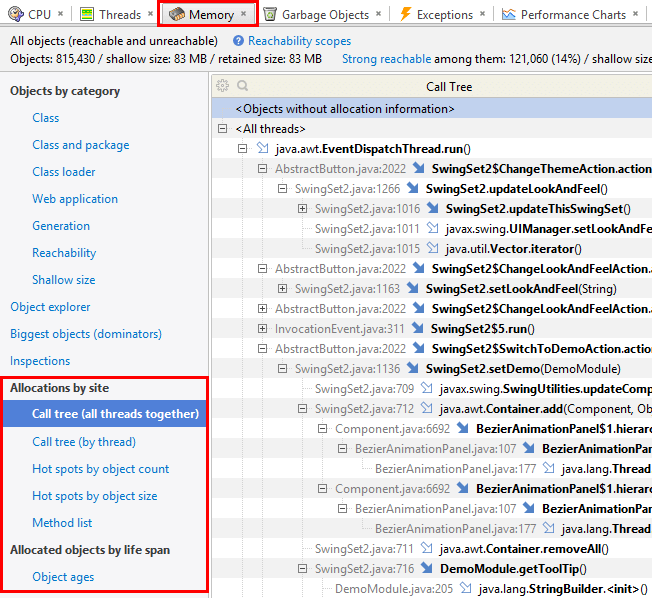 Allocations let you discover methods where objects were created. or objects with the greatest total shallow size ("Hot spots by object size") were created. For each method, the list shows the number and shallow size of objects it had created. Shows objects distributed by their ages.